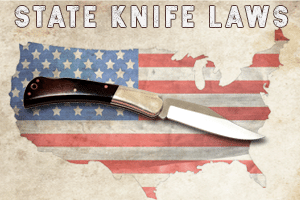 If you live in Arizona you are in luck, Arizona has the best knife laws of all 50 states. There are no illegal pocket knives in Arizona. Basically, you can own any type of blade you want and carry it concealed or in the open without worry. There are no municipal laws so you won’t have to worry about cops the next town over harassing you for something that is legal in your home town. Outside of what is listed above, it is illegal to use a knife to commit a behavior that is already illegal. What this means is that it is illegal to rob a bank with a knife and you will be penalized more severely than if you robbed a bank without a weapon. You can read the law here. 1. “Deadly weapon” means anything that is designed for lethal use. I would say this includes any switchblade or other knife that is known to be used in combat situations, or would be considered “lethal”. 2. Carrying a deadly weapon except a pocket knife concealed on his person or concealed within his immediate control in or on a means of transportation if the person is under twenty-one years of age. In other words, don’t conceal carry a deadly weapon, and you’re good to go! In the old days, the State of Arizona had its own knife laws and individual cities would have their own knife laws as well. The result was that people were being charged with having illegal knives that are 100% legal in their home town. In 2011 the State of Arizona preempted all municipal laws and, basically, made every type of knife legal. The new code was based off of the fact that the majority of knife owners used their knives as tools rather than weapons. The old laws were harming innocent citizens instead of criminals and were finally changed. 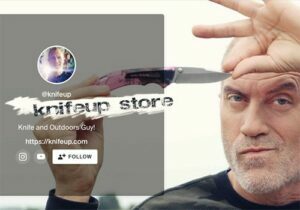 If you are from Arizona, go buy Balisongs, gravity knives, Bowies, stilettos, and whatever else you want: you live in the coolest state in America. Just don’t use it for a crime. 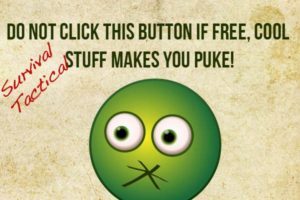 I am not an attorney so take this article with a grain of salt. I am just a law student. Also, this is not legal advice, talk to an attorney if you want that. Do you have any questions? Post it in the comment section below. 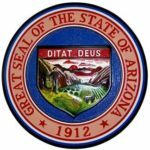 We are also looking for an Arizona attorney who would like to do an interview about Arizona knife laws. So im turning 21 in a couple of weeks and I have a balisong. So when I turn 21 it will be okay for me to have it in my pocket in public right? I dont usually have it on me unless I know I’m going to opening boxes for work. In my strongly held opinion, a karambit is not technically a pocket knife. If you were to get checked by a cop for carrying a knife, the officer would make a distinction between a pocket knife (which is common for activities like camping, hiking, wilderness trips, hunting, etc.) and a karambit (whose ONLY purpose is to rip and tear flesh). You’d have a tough time convincing police officer that you’re carrying a karambit for cutting fishing line while you’re walking down a dark alley on the South Side! My granddaughter is 20 and collects folding knives. Sometimes she has as many as 5 in her backpack. Also, she’s in college, can she take a knife there in her backpack? Technically, as I read the law, it says that while she CAN carry a pocket knife, it can’t be on school grounds. I’m not sure how she would get caught unless they have metal detectors at the college or she proudly brandishes it and shows all her friends. So, if she’s a responsible young lady, I’m not sure any judge would throw the book at her, but I don’t see any reason she would ever be “caught” with it if it’s discreetly and safely stowed away for emergencies only. Just my thoughts! I would have said it with a little more diplomacy and gentleness, but I appreciate your candor – and I agree! thank you Mr/Mrs Knifel! … and for the capital G in God! Do you know if it’s legal to carry a concealed double-edged fixed blade knife in AZ? Thanks!!! Thanks for writing. 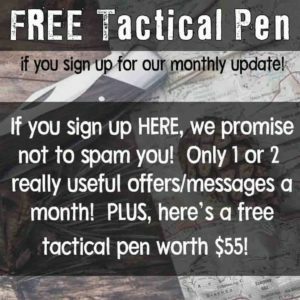 I’ve updated the Arizona knife law summary on knifeup.com to be a little clearer on the topic of concealed carry. Technically the answer is NO, it’s not legal to conceal carry a “deadly weapon” which is defined as any weapon that is designed for “lethal” use which would include nearly anything doubled-edged. At least that is my interpretation of the situation. 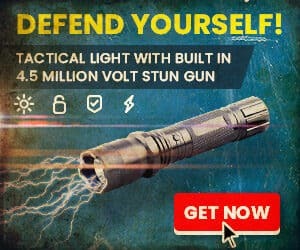 I’m not a lawyer in Arizona, so I wouldn’t take my word for it, but for what it’s worth, I’d conceal carry only something that could be seen as a pocket knife. OK so if I’m 18 and buy a pocket knife does it just have to be concealed at all times? Cause I would want to carry for protection due to some things personally. Also would I even be able to buy a pocket knife legally under 21? Guys…as the article states: the ONLY two times in Arizona that a knife is NOT legal is 1) a person under 21 years of age carries a concealed NON-pocket knife; 2) anybody having a knife at school…that’s IT! is a Tom Brown tracker knife legal in arizona? Why would you ask that after reading the article? In the state of South Carolina it is legal to own, possess, open carry any knife and conseal carry any knife except a Bowie, even if you are a (FELON). So, are FELONS allowed to carry knives in the state of Arizona? Hey can a 16 year old carry a knife of the size. 11.5 inches on his hip with a sheath. Damascus steel. Is there a length restriction? Is it okay to carry a balisong trainern public? i’m 26 and i have a multitool which has a knife and a smaller knives under 5in is that ok to carry? I’m 13 And I have a fixed blade winchester with I guess you can call a belt sheeth Can I carry it on my person conceled or non conceled. My 19 year old son carries a SOG Gambit with a 2.58 blade in a shealth and today he was told by an “acting” security guy that it’s considered a weapon and he needs to remove it and put in the car. I have read the laws however I would like to get a little more input. Thank you for your time. Did it happen at school by any chance? The Gambit is not a pocket knife, so you can’t bring it to school. It did not happen at school. It was at church but both him and I are on the security team. What is it classified as? Is it legal to carry ninja swords? Arizona will be the last place a muslim terrorist wants to visit. I’m 14 and i have a butterfly knife with over a 4 inch blade is it not considered concealed if it has a pocket clip? Well, how about an axe in your car can you keep it there if your at least 18? So its legal to carry a multi tool concealed or not,under the age of 21 (im turning 15 this year)? So I’m 13 and I have a 12 inch bayonet, would I be able to open carry it or not? I’m 14 and I bought kunai can I conceal carry them or not. I am 14 and I own a 3.5 in pocket knife can I carry it concealed? Yes. The limit is either 4 inches or 3.5 ( I think I’ve read both) but either way its legally not considered a knife, it’s technically a “knife shaped tool” in AZ so you should be perfectly fine, just make sure you tell and officer, especially if he’s about to search you. The HANDLE under your shirt? so the sharp part is sticking up? I think (hope) I’m confused… As long as the knife is displayed since you are under 21 and the knife is larger than 4 inches (I believe that’s the cutoff, it’s either 3.5 or 4 inches). Your best bet is display it in a carrying case that clips on your belt, or anywhere visible… If you mean the handle is covered by your shirt but the blade sticks out down past that, I would guess that’s considered visible but that may be a gray area. My advice: ask a lawyer or (easier solution) get a sheath for it. Typically concealed means if it is covered at all. So a weapon (knife) partially covered by your shirt could be construed as concealed. To be safe make sure the entire knife is visible. – In a sheath that is designed to protect the blade should be fine, so long as the sheath is not designed to conceal the blade to appear as something other than a knife. As Crockodile Dundee says,”that’s not a knife”,THAT’S A KNIFE!!!!!!!!!!!!!!!!!!!!!!!!!!!!!!!!!!!!!!!!!!!!!!!!! Im 13 and i bought a karambit at a big five in Arizona they let me with parental consult so is that legal. It is legal to own and carry, but it is not a pocket knife, so don’t carry it concealed. I just bought a straight blade overall is 12 inches the blade is 7. So if I have it in the sheath and strapped to my waste I won’t get in trouble? do the same rules apply for tourists from Europe ? Yes, all types of knives are legal and considered tools. Can someone under 21 carry a non pocket knife unconcealed?? I live in Arizona and i’m underage to carry a concealed knife. I want a butterfly knife and I don’t know if I can have it closed in sight on my belt or I have to have it open? unless you find a butterfly knife that’s 4 inches or under, you have to carry it Unconcealed and in clear view. The definition of a knife under 4 inches legally isn’t a “knife”, its a “knife shaped tool” which is way underaged people can carry it concealed. Im 16 and just bought a butterfly knife, am I able to carry it on me legally? thanks. unless you find a butterfly knife that’s 4 inches or under, you have to carry it Unconcealed and in clear view. I have a quick question. I’m 15 and I own a knife with a blade just over 2 and half inchs. A: Can I carry it? B: It has a clip so it hangs in my pocket and you can see the clip when its in my pocket, would that be considered a ‘concealed weapon’? Thank you. You should be good if you always have part of it showing. Keep in mind that one police officer may be different from another. Be safe and never reach for a knife when talking to a police officer. What about carrying swords and such. What are the laws on that. Arizona: Anything goes. Tell a cop if you’re carrying one. SO, WE CAN MANUFACTURE, TRADE, USE AND OWN POCKET KNIFE, SWITCHBLADE KNIFE, OUT-TO-THE-FRONT STILETTO KNIFE. IF OK, WE WILL SET UP A COMPANY DOING THIS BUSINESS. ANYONE CAN MAKE SURE IT IS OK? I have wondered if you could carry them in public now I know… The most thing I wondered about was the age you have to be to buy a machete. Yes I’m only 13 and a girl but I used my friend’s machete to go through the woods and make paths. I’m also terrified of snakes and we have a bunch of them and one time I didn’t have the machete and I almost got bit. Even though I’m a girl it doesn’t mean I don’t have a right to own a machete…What age do you have to be to purchase a machete? I don’t believe this statement is correct. I believe that is only illegal if an officer asks if you have deadly weapon and fail to accurately inform. I took an 8 day self course. You do not want to be in a knife fight, but better to have one than not. We had an exercise using magic markers and could only “cut” with the tip most everyone cut themselves at least once. Even some one well train will most likely be injured. Your average multitool carries a hefty blade. A tool kit in your pocket. And if you’re worried about self-defense against an atracker with a knife, I’ve never seen anyone stopped for packing a large crescent wrench. …and I’ve never seen anyone PACKING a large crescent wrench. BECAUSE IT’S A LARGE CRESCENT WRENCH! Oye. Way many years ago I bought a ton of government surplus parachute harness. Behold, a paratrooper’s switchblade knife. In those days, I believed what I saw on TV, and that it was a felony to possess such a terrible weapon. I was terrified I would be sent up the river, so I called the police to come and take it away. The kindly “Mayberry” type police officer informed me that switchblade knives were legal in Arizona even then. I live in Arizona and did not know the law here ,and had not been carrying one for that reason, Thanks for the good info. I own a “Neck Lance” knife as well its meant to be worn around the neck and can be easly concealed . I have a ‘short machete’ with a 10′ blade which I have used when either camping or hunting. What’s the difference between a large knife and a ‘short machete’? Is a machete, which is a basic tool, regarded the same as a large knife by authorites? you’re also 18 and the legal age for concealed knives is 21 so maybe that’s why they were pissed.. All you had to do was display it, and let them know (in case they didn’t see it) that you have a knife on you. Hi I had a few questions, I’m 17 years old and i’m thinking of carrying a knife, ever since my friend was assulted walking back from a friends house. Me as a minor would I be able to open carry a 12 inch (overall) knife. Thank you for your time.